OLD VIDEO!! BUT I HAD IT EARLY!!! After years of hostility, both verbal and physical, Beanie Sigel and Gillie Da Kid will be meeting up peacefully next Thursday for a free concert to promote unity throughout the city of Brotherly Love. The former rivals will put differences aside to perform as part of a “Brotherly Love concert” put on by Nike ACG. The “Broad Street Bully” explained he believes the city needs a new course of action to get it prospering once again. “I had an idea to put everyone together in one building and on one stage to start a movement here in Philly and promote unity,” Sigel said in a statement. Moreover, Sigel and Gillie had a heated argument over the title of “King of Philly” on Philly Radio Station Power 99 a few years ago, but the on stage meeting hopes to quell any feelings of resentment. Joining Sigel and Gillie will be fellow Philly rappers, Freeway, Reed Dollaz, Joey Jihad and E-Ness. The symbolic even hopes to not only unite the rap community, which has been plagued by feuds, but also preach a message of peace in the midst of rising violence in Philadelphia. The free concert is being held at the Filmore on South Street in Philadelphia, PA. Doors will open at 5:00 pm. 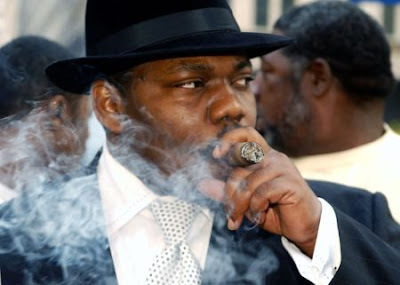 Furthermore, Sigel also explained his desire to create a business scene for his label in his home city. “I want to concentrate on the artist now, as I push my own label here in Philly. I want State Property Records to be the vehicle to put them on, so they don’t have to go to New York,” he said. Beanie and Gillie are both currently in the studio.